It was during the Italo-Turkish War of 1911 when the first bomb was dropped from an aircraft, and ever since then the concept of wreaking havoc on enemy forces on the ground has amazed and intrigued military strategists. Proper bombing raids kicked off during World War I when all the militaries started modifying their aircraft to increase their bombing capacity. The results of bombing raids were highly successful which gave rise to new ingenuities within aircraft. 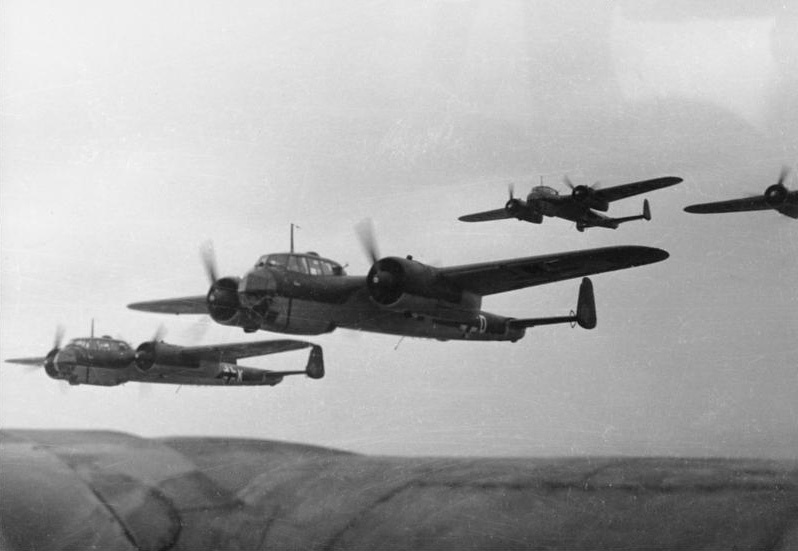 The Allies were pioneers of Strategic Bombing, and most raids were carried out by them with high precision that left the Germans running for cover on several occasions. One of the many reasons as to why the Allies managed to overcome the Germans during WWI was their innovations in bombing technology. The interwar years saw many aviation companies working on technologies while Command Centers worked on innovative strategies to make better use of their arsenals. By the time WWII kicked off, the war industry had greatly developed itself and had procured the ability to strike at high accuracy. There were all types of bombers now, the most notable ones being dive bombers, light/medium/heavy bombers, torpedo bombers and night bombers. Both the Allies & the Axis had their programs and always had something new to surprise their foe. Here are a few bombers that particularly stood out during bombing raids and rained hell on ground forces. This was the world’s first 4-engine long range heavy bomber and was developed during the 1930s by Boeing for the United States Army Air Forces. The initial contract was for 200 bombers which was later renewed as war kicked off. It was heavily used for strategic bombing campaigns against German industrial complexes. It came with the concept that a bomber should be able to defend itself and came with eight gun positions, 13 heavy machine guns, operated by a total crew of 10. It had the capacity to carry almost 5 tons of bombs & munitions. This was also one of the fastest bombers during WW2 and could cruise at a speed of 406 km/h, a number much higher than the competition. 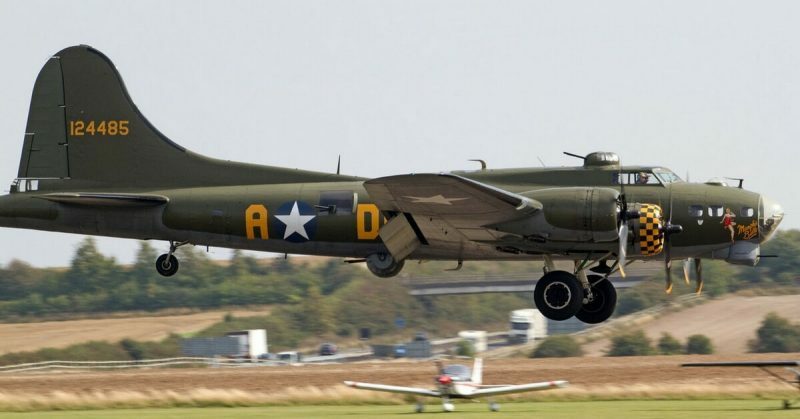 The “Flying Fortress” was constantly used throughout the war and delivered massive blows to the Germans. It wasn’t used as extensively on the Pacific Front as it was on the German one. 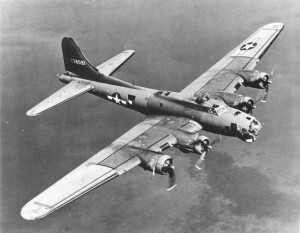 A number of variants were later developed by several nations who managed to acquire or capture B-17s in repairable shape. A crew of 10 was required to operate the aircraft. The maximum range of the aircraft was 5230 km while it could cruise at a speed of 575 km/h. The B-29 was developed with haste and ran into a number of glitches; it was however rushed into service to bomb the Japanese. 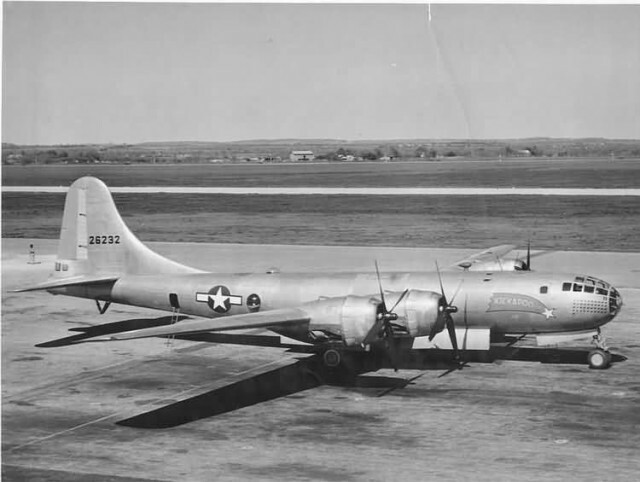 After a number of difficulties, the B-29 was fully operational and was one of the biggest threats the Japanese faced from the sky. 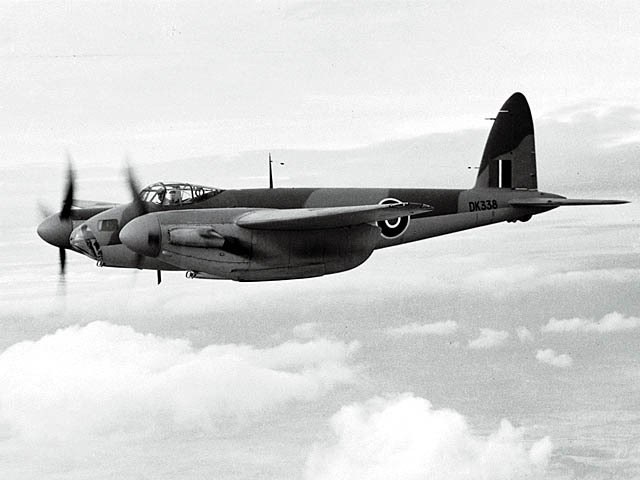 An extremely fast, long range medium bomber, the Mosquito brought the attack capabilities of the British war machine to a whole new level. With the ability to carry 1.8-ton bombs and give the pilot unmatched maneuverability, the Mosquito was developed as early as 1938 and put to service as soon as the war started. It had extreme precision and had a top speed around 600 km/h. To match this speed, it could go as high as 44,000 feet for almost 3000 km! Much of its speed and agility is credited to its weight and design. The Mosquito was a twin-engine, two-seat bomber and didn’t have the capacity to fit a large crew compared to its American counterparts. With the passage of time, upgradations were made to the bomber which allowed it to carry nighttime raids as well. A total of 7,781 were made up till 1947, and it continued to serve until 1955 before being retired. A four engine, night-time bomber, the Lancaster gained immense popularity within the British High Command and was heavily manufactured for the most part of the war. It could carry 10 tons of bombs and several special types of bombs like dam buster bomb and could deliver hell to all corners of Nazi Germany. Lancasters started carrying out missions after March 1942 after they were officially inducted into RAF’s bomber force. 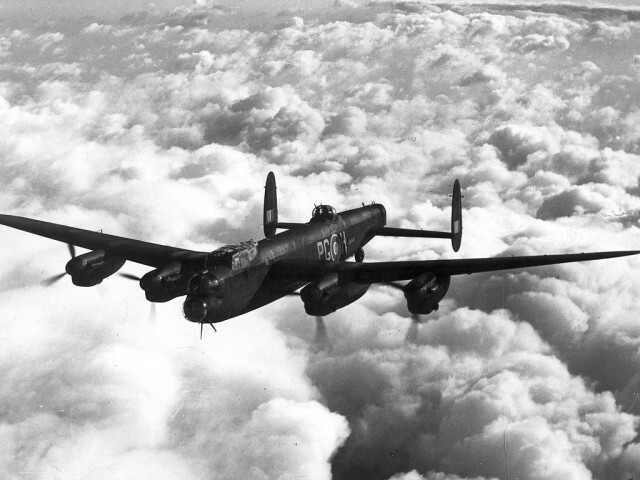 Although not that fast (322 km/h), the Lancaster had a ceiling of 21,400 feet and could climb at a rate of 3.7m/s. The maneuverability was excellent, and they were hard to hit with anti-aircraft fire! It is estimated that a total of 150,000 sorties were flown by this bomber, and almost half were lost in action. 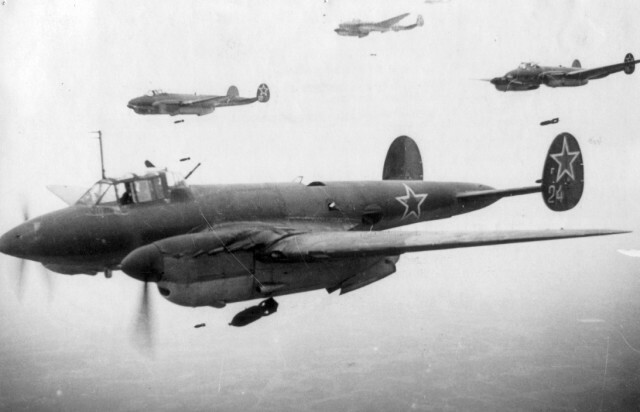 The Pe-2 was a Soviet light bomber introduced in 1941 as Europe began to go into all-out war. The bomber made an extremely successful entry into the skies and outperformed several bombers when it came to performing the role of a heavy fighter. The bomber was used for other purposes like recon and night fighting as well, and many regard it as a copy of the British Mosquito. The twin-engine bomber was manufactured in large numbers (almost 11,500) and had a maximum speed of 580 km/h with a ceiling of 8,800 meters. The payload was moderate compared to the B-series bombers, and the Pe-2 could deliver up to 1600 kg of bombs. The IL-4 was a WWII aircraft introduced by the Soviet Union mainly for the purpose of bombing and torpedo-bombing German assets. The bomber was introduced in 1936 but wasn’t operational until the war started. Primarily designed as a medium bomber, the IL-4 almost always could fly on strategic missions reserved for long range bombers. Most notably, the IL-4 was heavily used as a long-range bomber while bombing Berlin in 1941. The bomber could deliver up to 2,700 kg of munitions in addition to 2x rockets and 1x torpedo missile. The aircraft took only 13.6 minutes to achieve its surface ceiling of 5000 meters while capable of a maximum speed of 410 km/h. Almost all war games have the infamous “Stuka Bombers” in them and even though shooting them down is fun, the name they’ve earned is pure truth. A classic precision bomber, the Stuka dive bomber was introduced as “airborne artillery” to provide support to German tanks as they carried out the Blitzkrieg tactic. 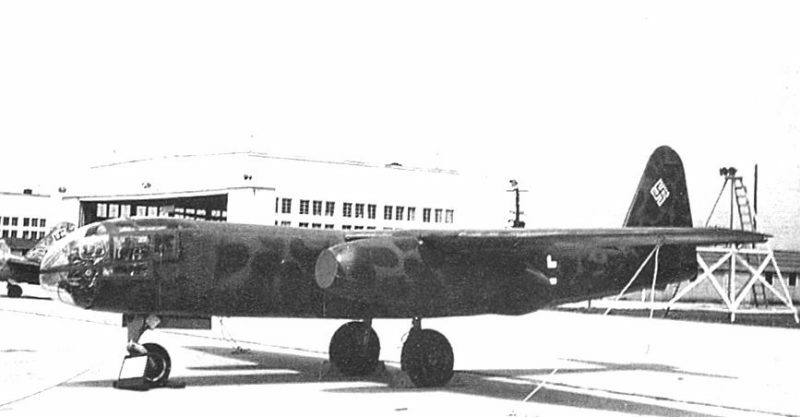 The J-87 was a low-altitude bomber, a design aspect that made it several times more accurate compared to high altitude bombers. The bomber carried only 700 kg of bombs and after some upgrades could carry a big 1800 kg one as well; the maximum speed was almost 600 km/h. Its precision is now compared to the modern F-117 stealth aircraft! Also, Hitler ordered further offensive measures including machine guns and even sirens that would instill even more fear into the heart of the enemy. The bomber was used on both the Eastern and Western fronts by the Germans. The Do-217 was a bomber used by the Luftwaffe during WWII and was another highly advanced aircraft with features ahead of its time. It was designed as a heavy bomber for shorter missions with production beginning in 1940. The numbers built weren’t that great (around 2000), especially when compared to the production of other aircraft. The Do-217 had a payload capacity of 3000 kg and had a top speed of 557 km/h. It had a range of 2,145 km while operating at a height of 7,370 m. It deserves a place in the top bombers list because it fulfilled its roles with great success. Operating as a strategic bomber, torpedo bomber and as a recon plane, the Do-217 was used until the last days of the war and was even converted into a night fighter when German defeat was imminent! Although this bomber didn’t play many roles in the war it has to be mentioned because of its significance in the world of bombers. The Ar-234 was the world’s first jet-powered single seat bomber developed by the Germans, only to be introduced in 1943. The war was coming to an end, but German R&D was still bearing fruit. The bomber was produced in very small numbers (210) and was limited to recon only. It was almost impossible to intercept due to jet technology which brought its maximum speed to a whopping 742 km/h at 6000 meters height! It could carry 1500 kg of bombs and could deliver them with extreme accuracy, without the fear of getting shot down as was common with other bombers. The G4M was the main bomber used by the Japanese Imperial Navy during WWII to inflict damages to Allied land-based assets. The twin-engine, medium-range bomber was named Betty by the Allies. It had a cylindrical shape and gave a good performance, giving the US fighters a tough time in the skies. The bomber could take up a crew of 7 and had 2x 1200 kW power plants. It could travel at a maximum speed of 428 km/h and could climb 8500 meters up while operating at a range of 2,852 km. It had all other design specs of an A-class bomber except its fuel tank which was pretty much exposed. As soon as the Americans learned of this flaw, they shot down one after the other by accurate close-range hits.